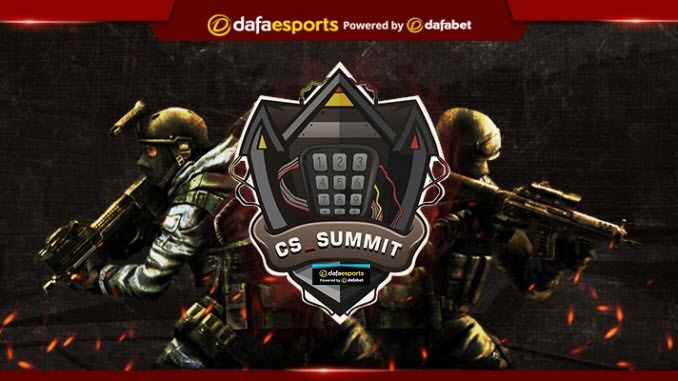 cs_summit 3 is a break from the norm in terms of Counter Strike events, with a more relaxed environment focusing on a myriad of tier 2-3 teams still looking to prove themselves. BIG are one of the largest teams, in terms of stature, at this event given their steady progression through the rankings. They are headlined by their star pairing of tabseN and smooya, with the latter beginning to become more and more consistent as his experience within the top flight of the scene grows. The issue for BIG, as with many teams, has been finding that third star to take them over the top. For a long time BIG have looked to nex to be that player, given his impeccable raw aim, but he continues to struggle in high-pressure situations. This appears to be the best shot for nex – a low-stress environment that should be conducive for him to perform well. Even if nex should falter, the structured discipline of gob b, one of the most respected in-game leaders in CS:GO, should lead to some decent results for the primarily German squad. G2 Esports are in desperate need of some good results here after regular disappointment since the birth of their current roster. G2 still have two of the best players in the world in shox and kennyS but unfortunately the pair seem unable to perform well during the same series. When one peaks, the other has a dip in his play, with the other three members being unable to step up when needed. G2 have performed better in online play as of late, with hope they can translate it to a more relaxed set-up here in order to get some momentum going into the final two months of the year. There are always murmurings about roster moves, particularly within the French scene, with G2 Esports being a prime candidate for player movement if their struggles continue. One of the players who could be on his way out if he does not improve quickly is bodyy, who has struggled mightily. Ghost Gaming have continued their steady improvement, being one of two teams to have already qualified for the ESL Pro League LAN Finals. After the addition of steel, it seemed inevitable that this squad would see improvement and, coupled with some roster moves, they have continued to climb into relevance. Wardell remains a player with hype and praise surrounding him, while veterans koosta and Subroza have found some surprising consistency. It still remains to be seen what talented youngster neptune will bring to this squad, but this is a perfect opportunity for Ghost to test themselves against international competition. In a year of disappointment for OpTic Gaming, there remains hope they can find a way to turn it around and find some success. Having created an all-Danish line-up after their mixed team quickly fell apart, the current squad appeared destined to be top contenders, with a mix of talented, savvy veterans alongside young phenoms ready to hit the big stage. But OpTic have been anything but, with continued questions as to if and when roster changes become imminent. Again, a relaxed environment should be a benefit to this squad as they look to slowly claw their way back to relevancy. The talent on the roster remains undeniable, with this tournament being the type of field k0nfig used to dominate during his time with both Team Dignitas and, more recently, North. All eyes will be on JUGi as he looks to finally reach the heights he showed glimpses of during his time with Heroic. There will be added spice when OpTic take on compLexity, who boast several former OpTic players in their ranks. OpTic are 1.520 to win that one with complexity offered at 2.560. In the outright betting, NRG (4.130) are made warm favourites with no fewer than six teams at a price lower than 8.000. BIG (4.720), OpTic (6.000), Heroic (6.560), G2 (6.570) and complexity (7.650) are the others.